Available in germany from the end of march at protel.de ! Alcatel needs to bring back its phone back to Australia. 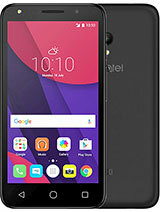 However there are some shortcomings to their brand- it seem that they constantly churn out phones with limited specifications- for e.g a mjority of phones do not have Bluetooth. I have used their phones and they are very reliable. This could probably win the "Worlds Ugliest Phone of the Year" Award!!! Yes that could be an option as you might know the Alcatel S853 was not on 3gsm either... but at CeBit. 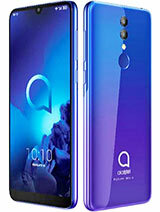 Cebit 2008 is about to start ,, so do you think that Alcatel will announc high-end phones which werenot announded at the MWC ?? their CEO said that their gonna be 24 devices for 2008 but they announced only 14 so where is the other 10 ?? Well the ironic thing is... Alcatel has highend phones in Asia... with the T607 as the top of the range one. 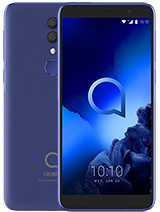 Shame it does not get launched here, but I know Alcatel will give us something soon. I hope TCL&A will soon develop the guts to create more mid to high end products as that's the only way to develop a name in this business. 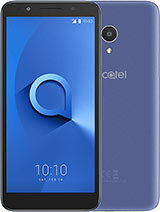 I like the way Sagem is going, though their designs are not the most original but they do provide a wide range right now from low to high ends..
Alcatel will be launching windows based smartphones as far as I have heard. i absolutely love the sleek design of the phone. But ever since i got my shadow, i have become accustomed to the qwerty keypad. the phone doesn't necessarily lack FEATURES but it is not as packed as phones from other brands like SE. overall i think this phone is so adorable!! me too,don. 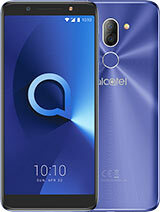 will alcatel announce new model this year? 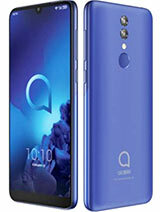 Congratulations Alcatel! Very nice looking phones you are going to release this year! How doesn't this have any functionalities? Its full of functions? MP3 ringtone, and NO costumization??? To small screen for me to ever buy this, and a really bad design for my eyes.. This mobile phone is already available in my country-Bulgaria from a couple of days.It's a very cool phone-I played with it for 5 minutes or so and stayed very pleased with the functionality.I think that Alcatel are imroving.Someday they'll reach out the bigger mobile phone brands regarding functionality.I am sure of it.